The Illinois NOW Legal & Education Fund is a member charity of Community Shares of Illinois. Click HERE to see how you can support the LEF through workplace giving. Every year, hundreds of women contact us for help. 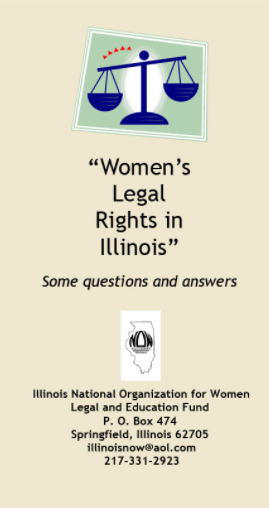 The Illinois NOW Women’s Resource and Referral Project in Springfield replies to phone and email queries from women around the state who are seeking help with divorce, domestic violence, discrimination and other problems. 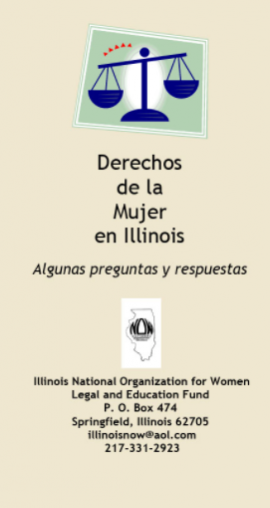 The Illinois NOW Legal and Education Fund, a member charity of Community Shares of Illinois, supports this project at approximately 40% of the real cost of making referrals. In the coming year, more women will be coming to us for our help and support. We must do more. With your tax deductible contribution we will make a difference in the lives of more women and their children. You can make your tax-deductible donation via PayPal to illinoisnow@aol.com. Please note your donation “LEF”.